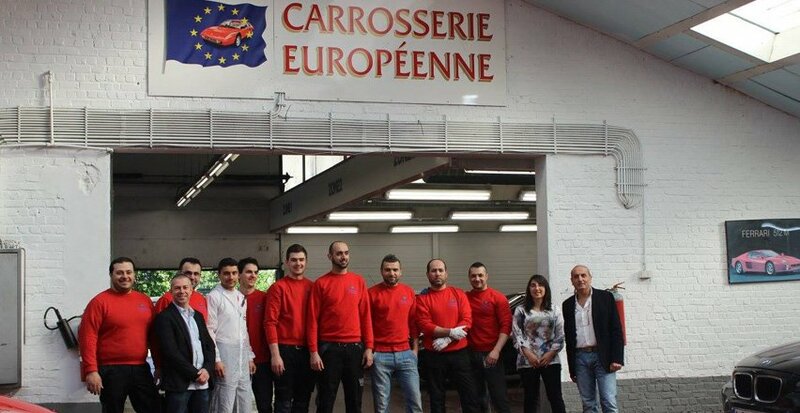 Carrosserie Européenne in Brussels is part of the network of Belgian coachbuilders Best Repair http://www.bestrepair.be . This national network of automotive professionals has the following objectives to guarantee a quality of service and specialized expertise across Belgium and has been for over 20 years. Carrosserie Européenne is also conventioned by most of the Belgian insurance companies. Do not worry about your insurance; we work with all insurances on the market. Besides a 5 stars service , including towing, complete cleaning of your vehicle and the free loan of a replacement vehicle, Carrosserie Européenne works on all brands, ranges and models of vehicles on car coach-work and paint baking. To offer you a replacement vehicle completely free. For a pick-up and a delivery of your vehicle to your home. For Fleet Service : a service to leasing companies. Whether you are a professional, client or prospective client, Carrosserie Européenne will satisfy you. For further information, please contact with one of our employees; we will be happy to answer all your questions.